POETIC STRUCTURE: ART + ENGINEERING + ARCHITECTURE celebrates the fundamental artistic elements found in the design execution of engineering in architecture. Through a number of projects and installations by Skidmore, Owings & Merrill LLP(SOM) engineers and visual artists, including a previously unseen kinematic pavilion hovering above the landscape on the grounds of the historic Schindler House. This exhibition displays striking examples of how these disciplines, when integrated, demonstrate the similarities that exist between artistic and structural design. For more than 80 years, SOM has explored the poetics of structure through continual examination, experimentation, and development of partnerships with artists to heighten design thinking. The MAK Center for Art and Architecture surveys these principles through the lens of a cultural organization dedicated to challenging the conventional notions of the relationship between architectural spaces and creative arts, through exhibitions, lectures, performances and tours. 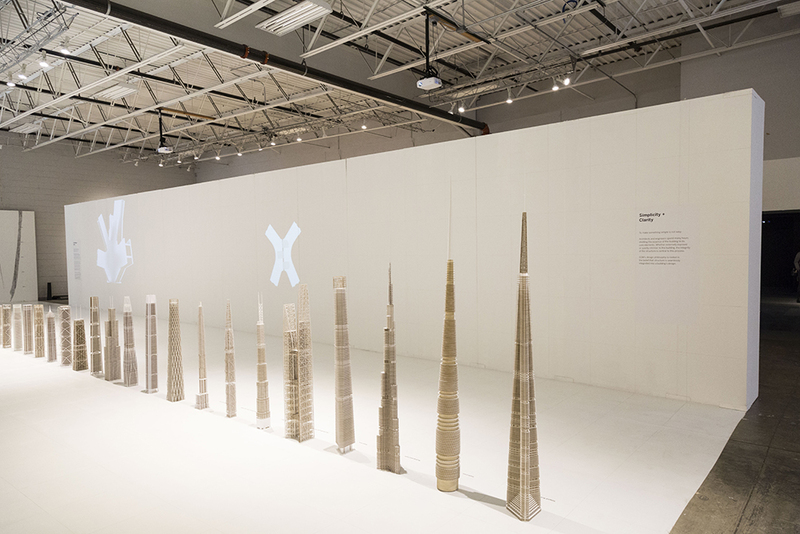 Various iterations of this exhibition have been featured in architecture and design festivals, museums and events around the world, including the Venice Biennale; the Chicago Architecture Biennial; Aalborg, Denmark; and Munich, Germany. Programming will accompany the exhibition run in the form of panel discussions with artists, SOM engineers, architects and community leaders; building tours; youth education programs; and panel discussions. All are among the on- and off-site events that will offer the public a deeper understanding of the intersections between art and engineering, and the impact the work has on the built environment.